Professor Hwa Young Jeong received the MS degree of computer engineering in 1994 and the Ph.D of computer engineering in 2004 from Kyung Hee University, Korea. Currently, he is an assoiate professor in Humanitas College at Kyung Hee University, Seoul, South Korea. He is a member of the Standard Words Committee in Ministry of Information and Communication, Republic of Korea. And he has worked on the editorial board for the journal of Korea Society for Internet Information from 2004. From 1994 to 1999, he worked for Aju System Co., and CNA Research Inc., as a system and software engineer, and he had made GUI(Graphical User Interface) programs to control the semiconductor testing machine which was called IC Test Handler. 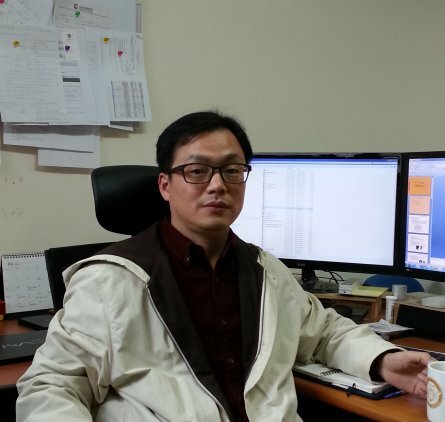 He was an assistant professor, Dept of E-Business of Yewon Art University in 2000~2005. He has served for many international conferences/workshops as an International Program Committee Chair from 2012 to now. His research area includes design of system software, multimedia system and software, software and application with security, e/u-learning system and so on.